apple chutney | apple chutney recipe | how to make apple chutney at home with step wise pictorial and video recipe. apple chutney | apple chutney recipe | how to make apple chutney at home is one of the most tasty and easy to make condiment with very few ingredients at hand. If you have the apples in your refrigerator, believe us, you don’t need to make a special visit to market to purchase rest of the ingredients. They are supposed to be available in every kitchen. apple is a very common fruit and Chutney is also very common condiment, so we thought that the combination of both in the form of apple Chutney will also be common. But when we tasted a pinch of apple Chutney direct from the pan, we were like “Oh My God”. This sweet, sour and spicy apple Chutney was truly a heaven. apple chutney is a condiment made with apples and few basic spices. Wash apples and grate them. Place a non stick pan on low flame and add grated apples in it. Add sugar and keep stirring until sugar dissolves and apples turns little soft. Add cinnamon powder, salt and red chilli powder & mix well. Keep on cooking, stirring and pressing the apples until they turn mushy. Your Apple chutney is ready. 1. Wash apples and grate them. 2. Place a non stick pan on low flame and add grated apples in it. 3. Add sugar and keep stirring until sugar dissolves and apples turns little soft. 4. Add cinnamon powder, salt and red chilli powder & mix well. 5. Add lemon juice and mix. 6. Keep on cooking, stirring and pressing the apples until they turn mushy. 7. Your Apple chutney is ready. * We added the apples without peeling the skin but you can remove the skin before grating apples. Actually apples contain lots of nutrients that your body need. Apple is full of calories (which our body does require), fiber, potassium and Minerals. Apples are rich in vitamin A, C & K. If you eat apple without it’s skin, that means you have discarded half of the nutrients. So we always use the apples along with the skin. * This apple chutney can be made with any type of apples, but, green apples will give more tangy taste. * You can add jaggery in place of sugar & can replace lemon juice with white vinegar. (though personally we haven’t tried this apple chutney, both these ways). * If making this apple chutney for kids, then adding or not or how much to add the red chilli powder, is totally your discretion. * Feel free to add some water while cooking apple chutney if you feel that your apples don’t have sufficient moisture and your chutney still needs to be kept on flame for cooking. * Coming to the texture, some like the creamy and some coarsely. We love the coarsely one, so only grated the apples. But if you like the creamy texture, then do one additional thing. When your apple chutney is prepared, let it turn cool completely. Then blend in a blender till turns creamy. You can add water, just by spoon, if your apple chutney turns out to be dry. * If making the apple chutney in creamy texture, then you have one additional benefit. You don’t need to put the efforts in grating the apples. Just cut them roughly into small pieces and cook. In such a situation, cinnamon stick can also be added instead of cinnamon powder. After all, at the end, you are going to blend everything. 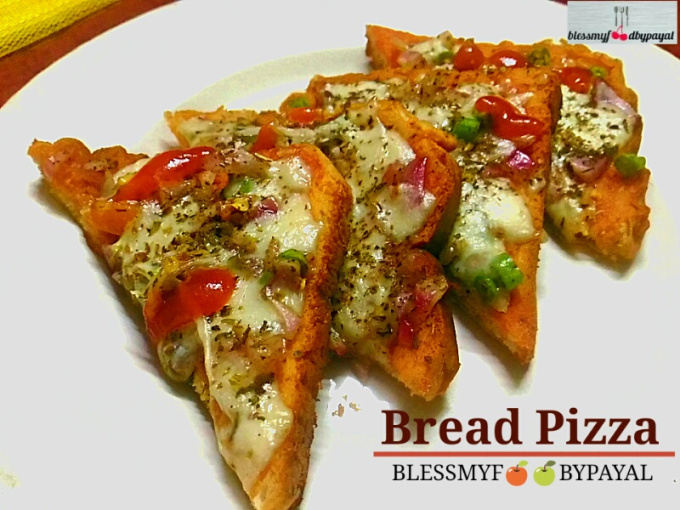 Dear readers, accept the greetings from ‘PAYAL BALI SHARMA‘, a blogger behind “Bless My Food by PAYAL, a purely vegetarian food blog” . 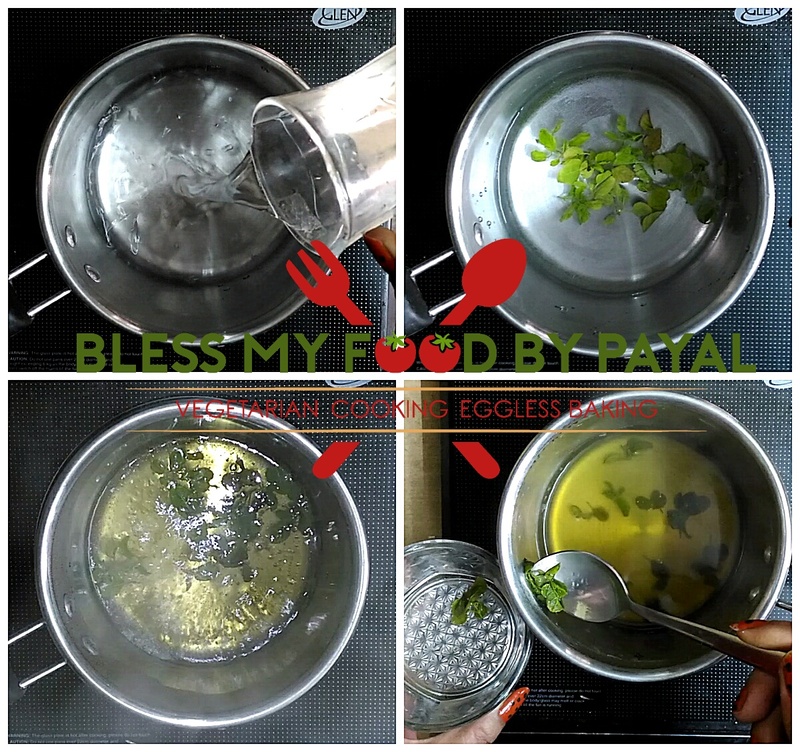 “Bless My Food by PAYAL” is a blog where you’ll find me making all possible efforts to cook up the stuff which carries the tastes of traditions with some tadka of glamour.